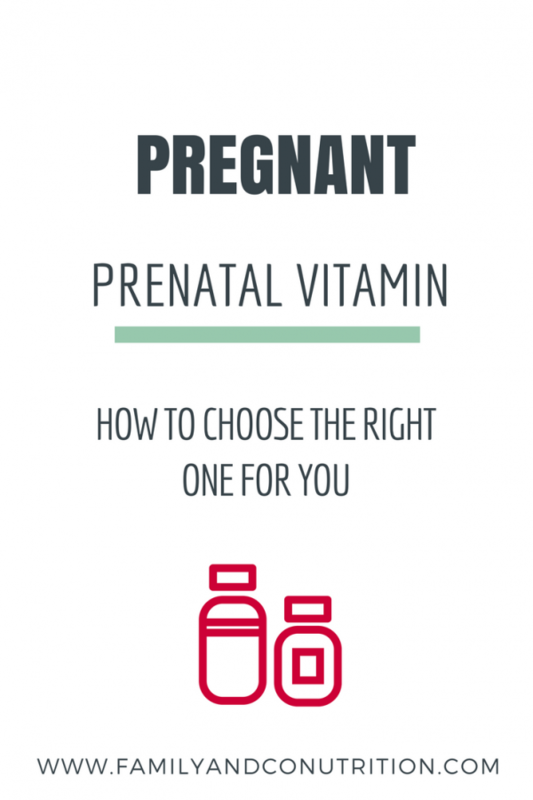 How to choose your prenatal vitamin? 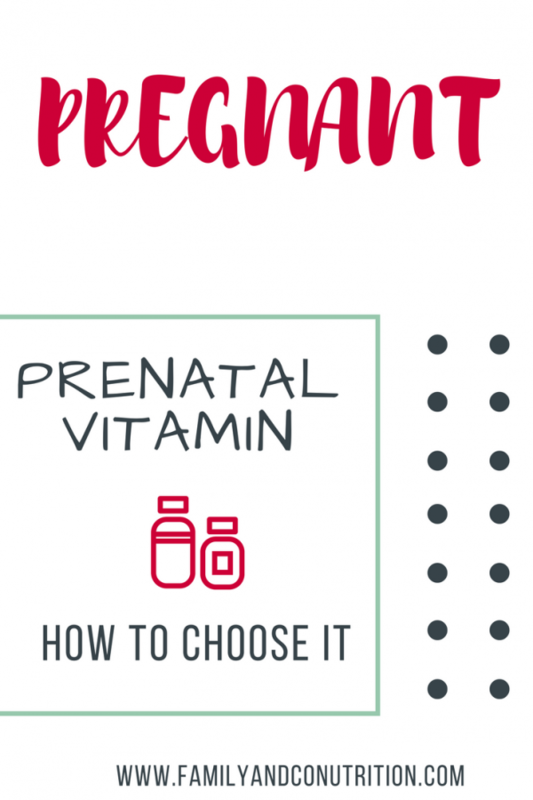 Which prenatal vitamin to pick? Maybe you’re pregnant, maybe you are trying to get pregnant…You go to the vitamins aisle at your grocery store…and woah, where do you even start? So many brands, so many claims, so many types of all sorts of things! 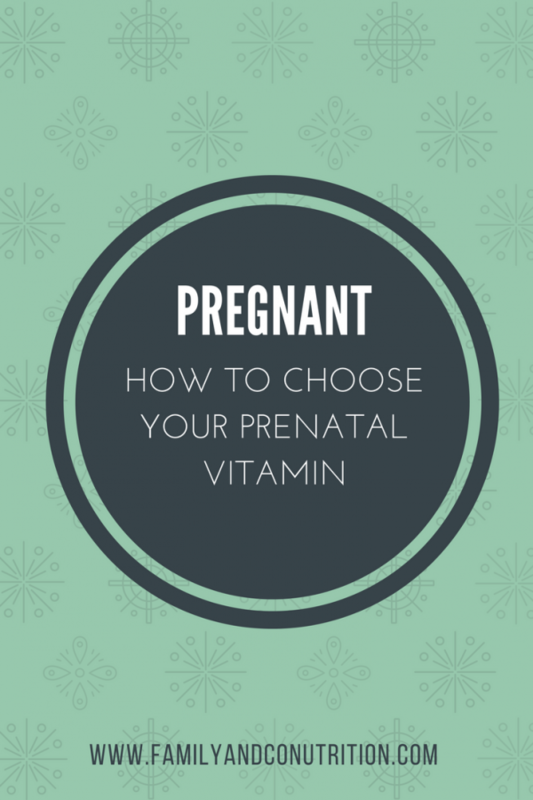 Well you are there to look for a prenatal vitamin, so that at least narrows down your search. We’ve prepared you a comparative chart showing the nutrient content of most popular prenatal multivitamins on the market. Leave your email to get a copy, and keep reading to see how much of each nutrients you should aim for. Wouldn’t it be nice to easily compare the content of the most popular prenatal multivitamins on the Canadian market? We got you covered with this chart! Subscribe and get it for free. First things first, as soon as you pick up a bottle of pills, make sure it has a Drug Identification Number (DIN) or Natural Product Number (NPN). One of these numbers indicate that the product is government-approved for safety, efficacy, and quality. Then dive into the health claims and the nutrition table. 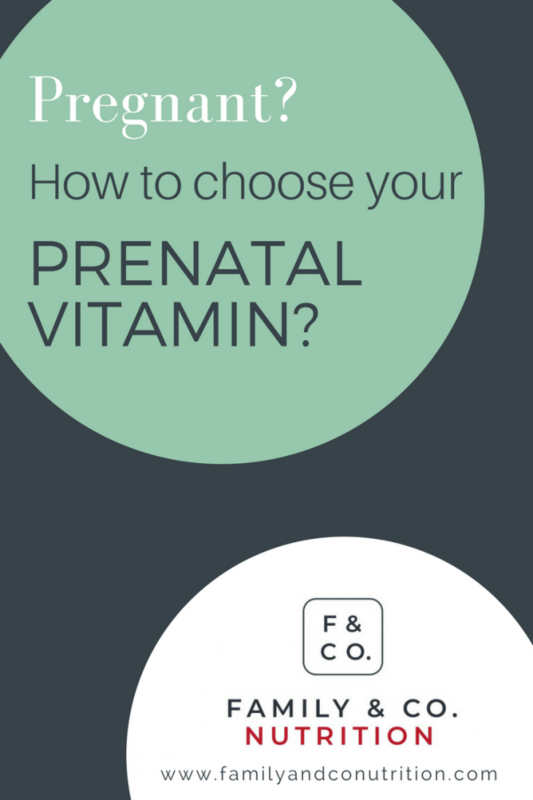 Who decide what is a “prenatal” vitamin? In Canada, it’s Health Canada. So it’s a rigorous governmental body. To market a multivitamin to pregnant women and call it a “prenatal” multivitamin, companies need to follow rules established by Health Canada. As of 2018, the only requirement is the following: it must contain at least 400 ug of folic acid (*you will also see 400 mcg, which is the same as 400 ug). But if you’ve ever stopped to look at the list of nutrients contained in prenatal multivitamins, there are far more than just folic acid. Companies are left deciding not only the amount of folic acid (as long as it is 400 ug or more), but also What and How much of other minerals and vitamins to include. Hello endless possibilities leaving us puzzled in the supplements aisle! What about the health claims on the label? To complicate things, Health Canada also allows companies to make claims on their labels. So depending on what you look at (the list of ingredients, the nutrition table, the label claims, or the cute picture of the pregnant mama on the bottle), you have lots of info to consider and understand. Folic acid is the synthetic form of folate. Synthetic!!! Danger? No, not necessarily. Folic acid (the synthetic form, found in prenatal multivitamin and in fortified food) is more bioavailable then folate (the natural form, found in food), which means it will be easily absorbed by the body. And that is great news for pregnant women as their needs are high! For the reasons why folic acid is so important for you and baby during the (very first) weeks of pregnancy, hop to this post. Folic acid is the synthetic form of folate, and its bioavailability is higher than the natural form. Perfect for pregnant women with increased needs! Iron and vitamin B12 are needed to create red blood cells, one of the component of blood. Your blood volume increases drastically during pregnancy, roughly 1.5 times the volume of blood of a non-pregnant women (now that is impressive!). It’s your body’s way to ensure your growing baby receives enough oxygen and nutrients, all delivered through the blood and the placenta. Health Canada recommends to take a daily prenatal containing between 16-20 mg of iron, however you will notice that most prenatal multivitamins in Canada contain 27 mg of iron. Why? Probably because it is the recommended dietary allowance, but that recommendation includes iron from food AND supplement. Don’t worry, there is wiggle room before seeing bad effect due to eating too much iron. The upper limit is set at 45 mg/d, so even if your diet provides you with iron (and we hope so! ), you can still take your prenatal containing more than 20 mg of iron. While Health Canada doesn’t recommend anything specific concerning vitamin B12, the recommended dietary allowance for vitamin B12 is 2.6 ug/d for pregnant women of all ages. That includes sources of vitamin B12 from food and from your prenatal multivitamin. There are no established maximum dose at the moment as there are not enough scientific evidence (but that doesn’t mean that there are no risks in consuming too much vitamin B12, so let’s not go overboard!). If you are vegetarian or exclude meats from your diet, you definitely need to take a prenatal multivitamin and if you find it difficult to have a balanced diet due to nausea or morning sickness, talk to your health care practitioner. Vegetarian women have 1.8 times higher need for iron than non-vegetarian (meaning their recommended dietary allowance = 49 mg/d) because the iron found in a vegetarian diet is less bioavailable and usable by our body. Calcium and vitamin D are known for healthy bones, and that is true during pregnancy where your baby’s skeleton is formed. While calcium is used as the building blocks of the skeleton, vitamin D helps in the process of absorbing calcium, and transferring it to your baby. 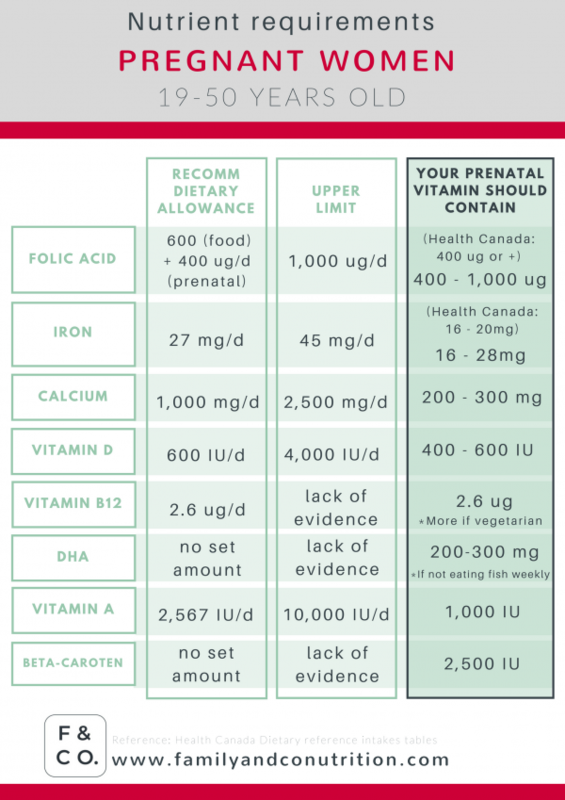 Pregnant women’s requirements are 1,000 mg/d of calcium and 600 IU/d of vitamin D. Now, there is no recommendation from Health Canada as how much calcium and vitamin D should be contained in prenatal multivitamin. Most prenatal multivitamins on the Canadian market includes calcium (ranges from 150-300 mg) and vitamin D (ranges 100-1,000 IU). We suggest you aim for a prenatal containing 200-300 mg of calcium and 400-600 IU of vitamin D.
Vitamin D and calcium are both essential for your baby’s developing skeleton. DHA stands for docosahexaenoic acid. It’s impossible to pronounce so let’s keep it as DHA! It’s a type of fat – good fat. It is found in fatty fish like salmon, trout and sardines. It could be a good idea to select a prenatal multivitamin containing DHA if the idea (or odour) of fish is making you sick during pregnancy. DHA is especially important for the development of your baby’s brain and nervous system. There is no clear Health Canada recommendation on consumption of DHA, nor on how much prenatal vitamin should contain. We suggest you eat fish weekly to get in your dose of DHA. If that is not feasible for you, select a prenatal that contains 200-300mg of DHA. Now, too much of a good thing can be bad. That is the case with the 4 vitamins that are fat-soluble (vitamin A, vitamin D, vitamin E, and vitamin K). Why? As they are soluble in fat (your body fat, which we all have and it’s totally healthy and normal), an excess of it will be store in your body rather than eliminated in your urine. Vitamin A is of concern specifically in pregnancy as it can have teratogenic effects. Teratogenic effects are associated to birth defects for the baby. The whole idea of taking a prenatal is to get enough folic acid to prevent birth defects, so let’s make sure that we don’t cancel that positive effect by getting too much of vitamin A. Your diet will provide you some vitamin A, as well as your prenatal multivitamin. Other medications (e.g. 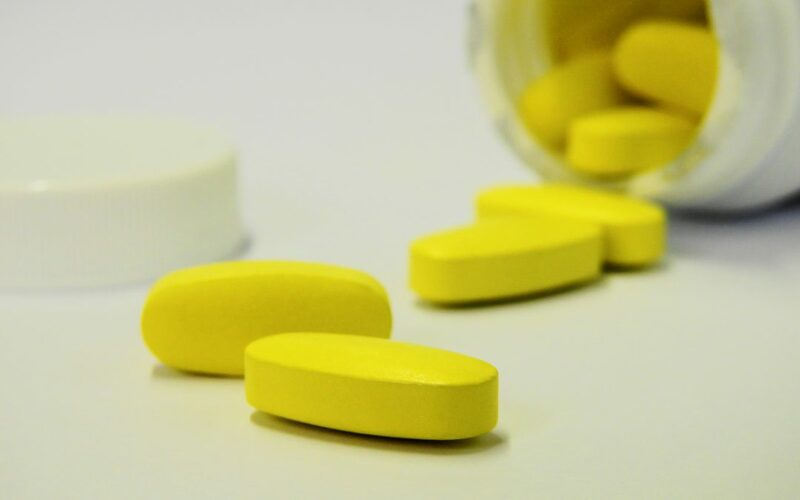 acnea treatment) and supplements can also contain vitamin A, so take a look at all the pills and supplements you consume. It will give you an idea of how much vitamin A you are getting. 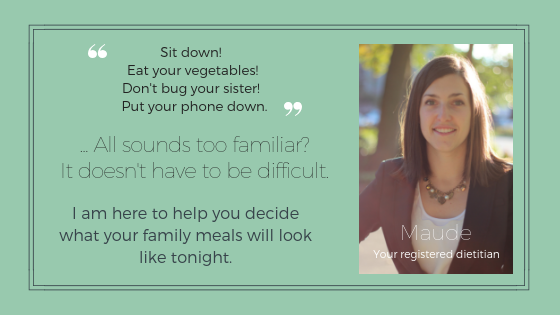 If you are not sure if you get enough or too much, it’s always a good idea to discuss it with either your doctor/midwife, your registered dietitian or pharmacist. Too much of vitamin A is actually not a good thing, so take a look at all the supplements you consume (in addition to your diet). Moderation is key! Make sure to get your copy by subscribing! Thank you for the kind words Kimberly. Glad you enjoy the article. There are so many options of vitamins and brands out there for women trying to conceive or already pregnant. Different brands might be better tolerated by some women. And prenatal are super important before and after pregnancy too! It is recommended to start taking a prenatal 3 months before conception (or when you start trying to get pregnant!). We also suggest that breastfeeding moms continue taking their prenatal.